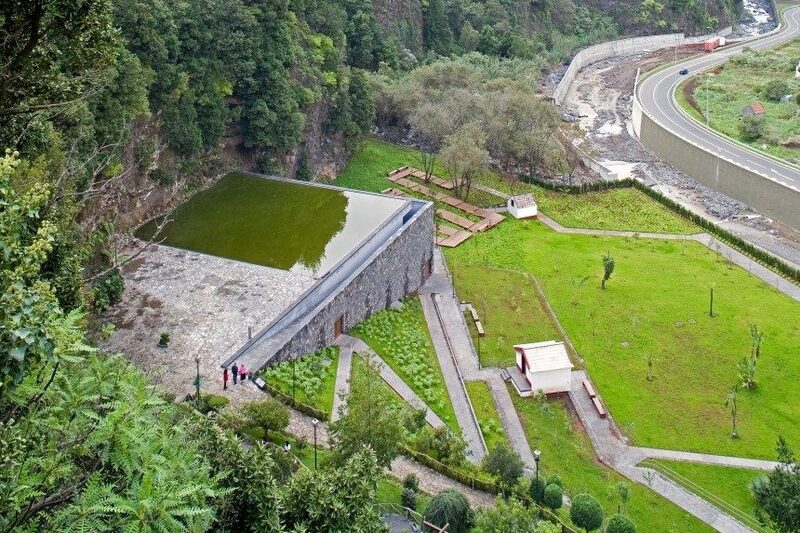 The site where Grutas S. Vicente Park sits presents a dramatic context. It is a platform located at the stream edge and bounded by a waterfall and a cliff. This platform had an occupation with farmed land. 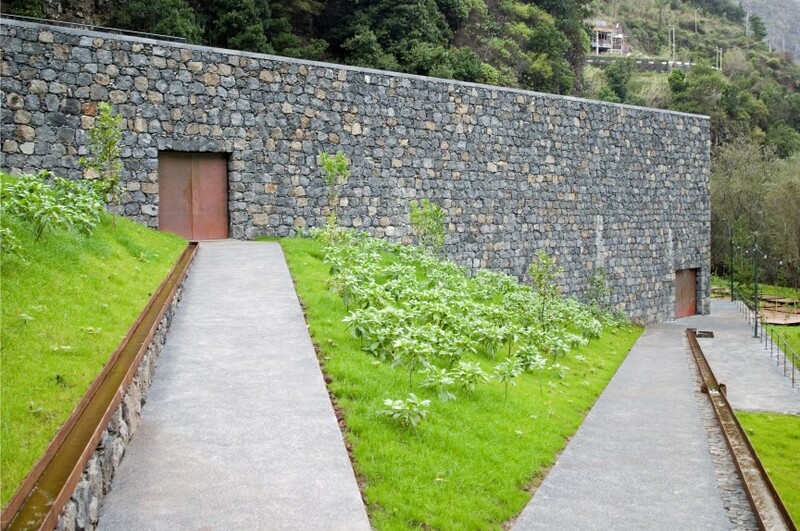 It is part of a landscape system constructed with farming terraces and which characterizes the specifics of the context. The landscape design aimed to create a place for recreation that offers itself as a lookout/platform facing the Atlantic ocean. 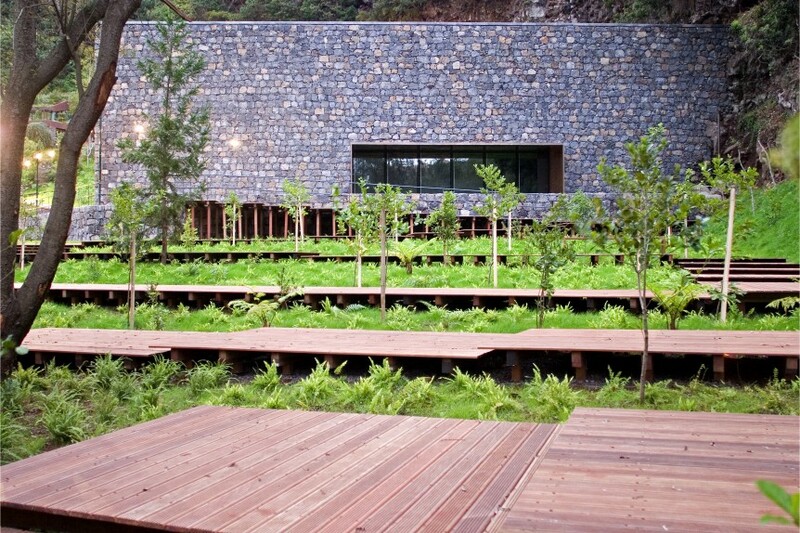 The park was conceptualized as part of the Volcanism Museum as its open space. 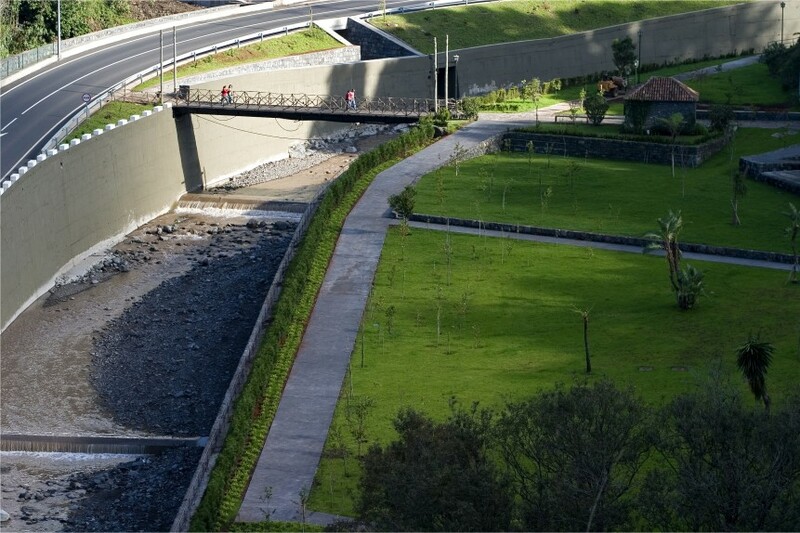 The building contents’ interpret the volcanic phenomenon and the park reveals its associated hydrologic processes and vegetation. 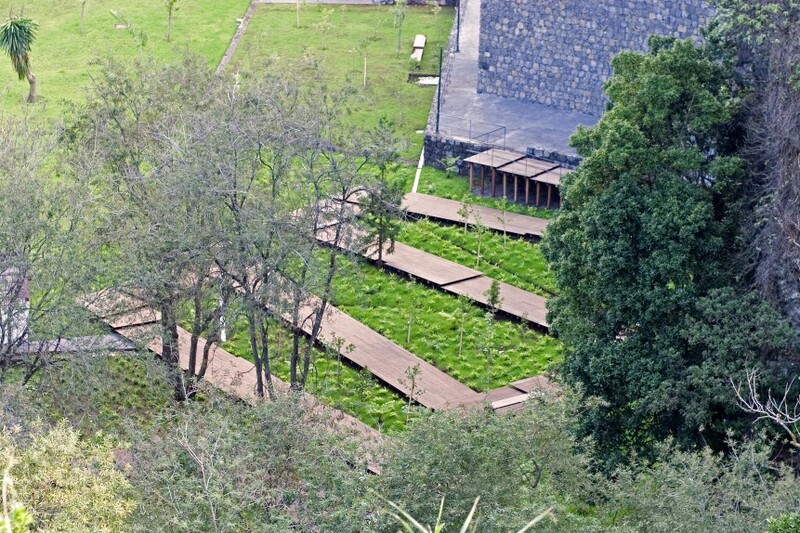 The water and the vegetation became the park structural elements. 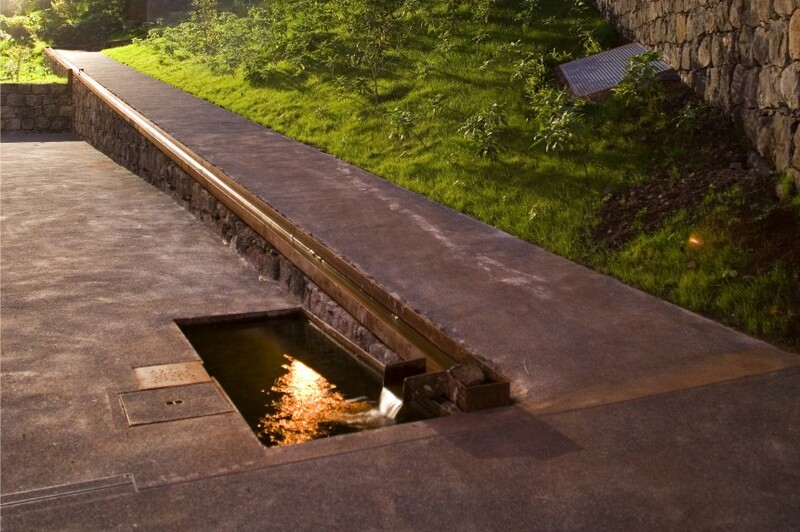 Water features organize the spatial structure: stream, elevated canals and pools, and site-specific vegetation occupies each terrace. 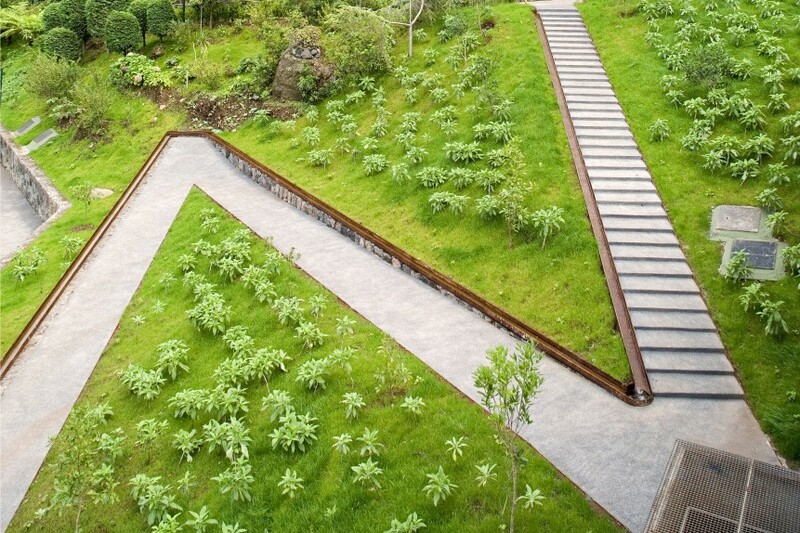 The vegetation is a visible explanation and expression of the site ecological dynamics. The experience of the place is driven along a boardwalk. The stroll is lived as both a learning experience and a leisure moment. 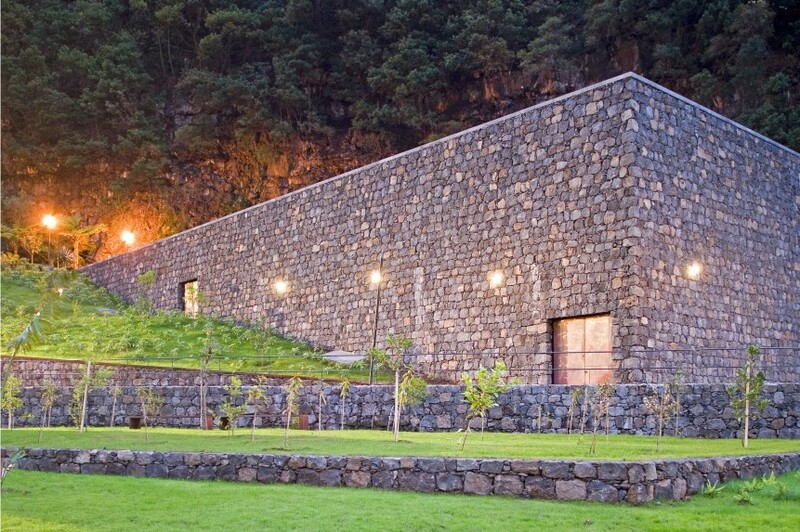 The Volcanism Museum and its park render visible a unique geomorphology situation. The park assembled the site-specifics as an open and inclusive place that mediates between the dweller’s everyday life experience and the learning project offered by the museological program.